Beautiful weather and happy faces when Sunhouses had their spring kick-off for the greenhouses on Saturday 24:th of July 2010. Gårdstensbostäder (public housing company in Gothenburg) invited their tennants to picnic and other activities. Evelina Davidsson, contact person for the three areas where the composters are installed, offered Susteco – Big Hanna a great opportunity to reunite with the tennants and talk composting. These machines have now been installed for 10 years since the big re-build of this area was done. Gårdstensbostäder won the World Habitat Award in 2005: “A range of innovative environmentally and socially sustainable approaches were used in the renovation of this former problem housing estate in Goteborg, which is now one of the most popular in the city. 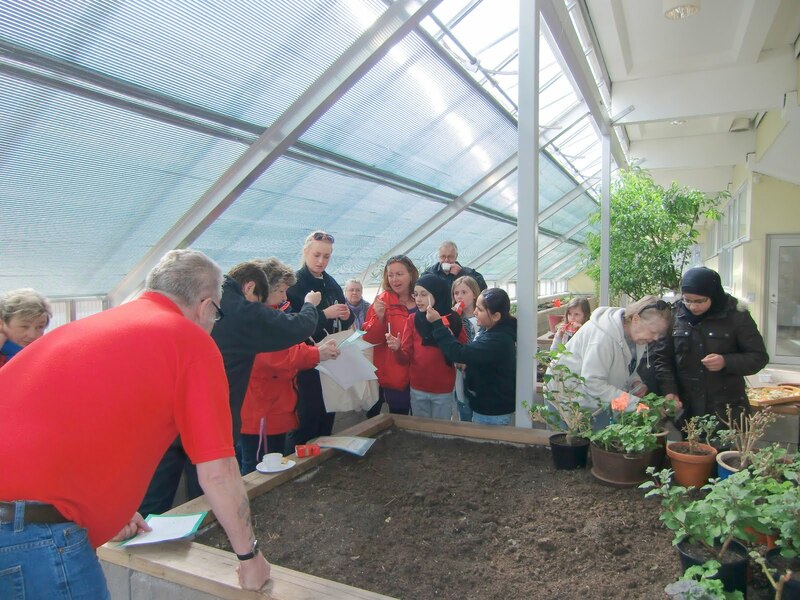 Community involvement throughout the design process and in the on-going management and maintenance of the estate helps to ensure a successful integration of Swedish and immigrant families, as does the provision of community facilities, in particular the communal greenhouses.” The greenhouse kick-off is a good example that Gårdstensbostäder are continuing to work with community involvement!